The Marvel 4015 Hot Print Branders are ideal for marking ABS, PVC, HDPE, polybutylene, polyethylene, styrene, and other extruded plastics. This friction-driven system is ideal when ink marking alone does not meet code requirements. 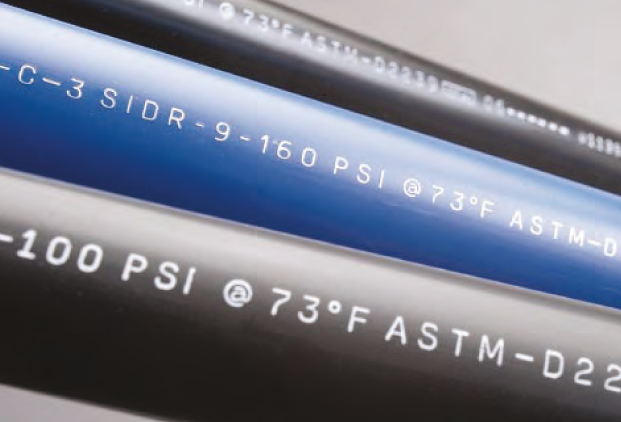 Available in two styles, with or without foil, both units use heated steel type to form a crisp mark that is permanently branded in plastic pipe or other in-line extrusions. The resulting mark is abrasion-resistant, making the product suitable for both outdoor and underground use. For a high-contrast mark, the Thermo Foil brander adds the option of adding a colored foil tape into the branded mark. Add on the tape-saver option to keep waste foil tape to a minimum and reduce costs.